While it can be argued how long mastery of any skill would actually take (and indeed, what “mastery” actually IS), undoubtedly it takes a major investment of time and energy, focus and persistence. So just for fun, let’s say mastery of anything DOES take 10,000 hours (or 10 years practicing 3 hours a day). Doesn’t it make sense that the more fun I have doing what I’m doing, the more often I’ll do it, and the more often I do it, the better I’ll get at it and the better I get at it, the better results I’ll get and the better results I get…(you guessed it) the more fun I’ll have! 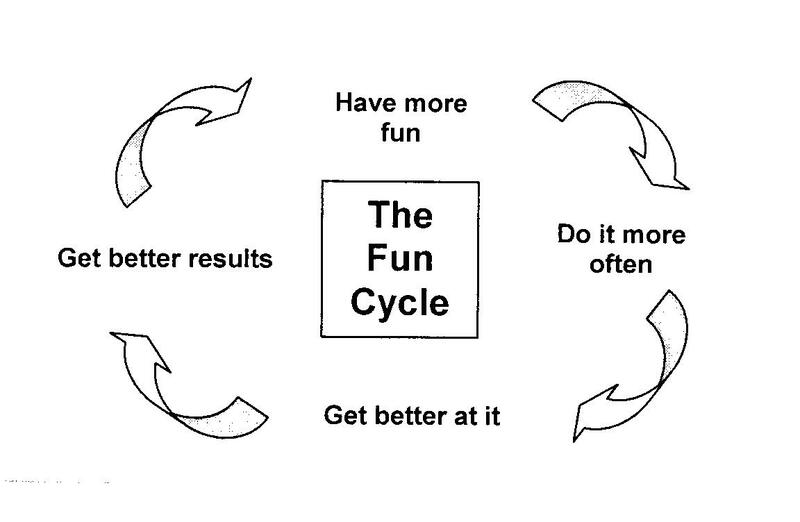 So, if you want to get better results at anything…ANYthing…simply have more fun. Lesson over. Go have fun.